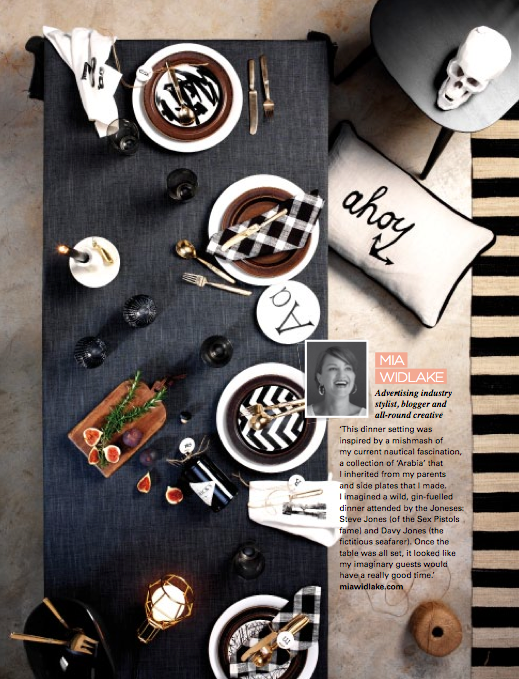 everyone from House and Leisure for including me in their table setting feature. I had a blast throwing it all together. Oh darling, this is too wonderful. LOVE it. What a lovely pic of you too! Oh how divine! (Never thought Id see that Arabia "re looked" as they say in France) Yes I think Steve Jones is a must!! Remember listening to him on his radio show in LA? I was so chuffed to see this in print. Congratulations. Some of your wares were on sale at the Ikhaya store at I heart market here yesterday. Found myself amidst of genuine admiration all round for your work.